The police commonly use stock witnesses in UAPA cases. The evidence and cases are weak. There is a well-defined procedure of investigation under UAPA. Only DSP or official above that rank can carry it out. But several cases fell flat as lower-level officials carried out the investigation. The police often don’t follow the complete process to get sanction for prosecution from the Home Department. In some cases, permission is required from the Union Home Ministry and state Home Department. The police remand under UAPA is much longer as compared to other charges. So the police get more time to interrogate the accused. he appeal for it is still pending in the Punjab and Haryana High Court.These cases were mainly registered against Khalistani and Maoist sympathisers. The first case under UAPA in Punjab was registered against alleged Maoist Jai Parkash Dubey on January 5, 2009, but he was discharged from UAPA charges by the court. It was followed by the famous case of Surjeet Phool, president of Bhartiya Kisan Union (Krantikari). He stayed in jail for five months before he was acquitted in 2010. Three others activists belonging to mass organisations were booked under UAPA, but none got convicted. Most cases were registered against Khalistani sympathisers and activists. Around 100 cases were registered against leaders of Sikh and pro-Khalistan organisations. So far, 70 people have been acquitted and some cases are going on. 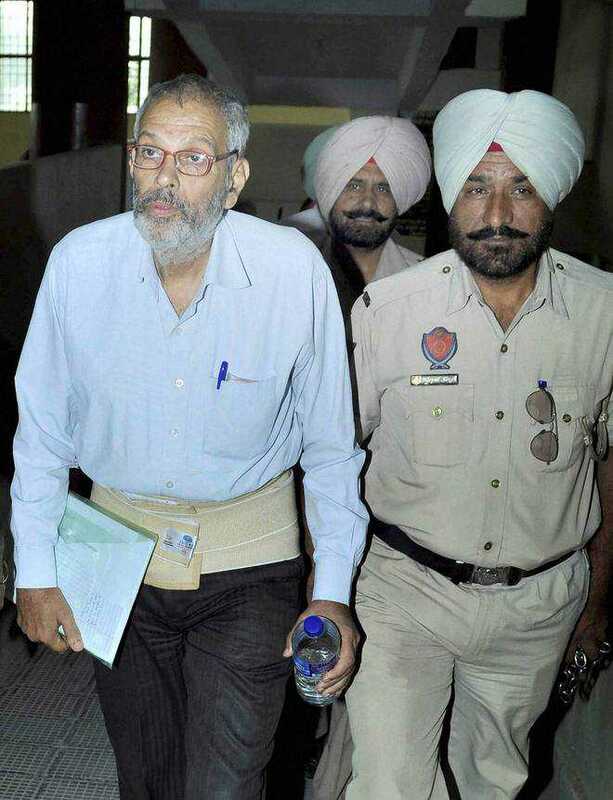 Against Ludhiana-based Khalistani leader Daljit Singh Bittu, five cases of UAPA were registered at different places. He was acquitted in four cases.“Earlier, people of Punjab were victims of TADA in which conviction rate was low. Seven years back, it came back in a new avatar — UAPA,” said Jaspal Singh Manjhpur, a Ludhiana-based lawyer who has fought the maximum cases of UAPA in Punjab. He himself was booked under UAPA and spent 1.5 years in jail before getting acquitted in July 2014.He said that in one case registered in July 2010 at Amritsar, three persons Makhan Singh Gill, Pal Singh France and Gurmukh Singh were convicted.The situation is not much different in Haryana. Since 2009, in three cases — two cases in Yamunanagar and one in Narwana – a total of 24 people were tried under UAPA. But not even a single person was convicted. On an average, each of the 24 spent 2.5 years in jail while facing trial before getting acquitted. Among those who were tried under UAPA in Haryana, 20 were Dalits, two of the backward category and one was a Muslim.Kaithal-based Geeta and Rajesh Kapro, a couple working in the Krantikari Mazdoor Kisan Union, were among the first to be booked under UAPA.“The law has been used against persons fighting for the cause of Dalits. In its judgment, the court noted that the police terribly failed to produce evidence,” said Kapro, who now practices law in Kaithal. This reflects the regrettable state of judicial system. The accused are often dalits and adivasis or Muslims and are imprisoned for years. They often come out without being convicted for crimes. The enormous false – charges slapped on activists is a cause of concern and the system must be reviewed.